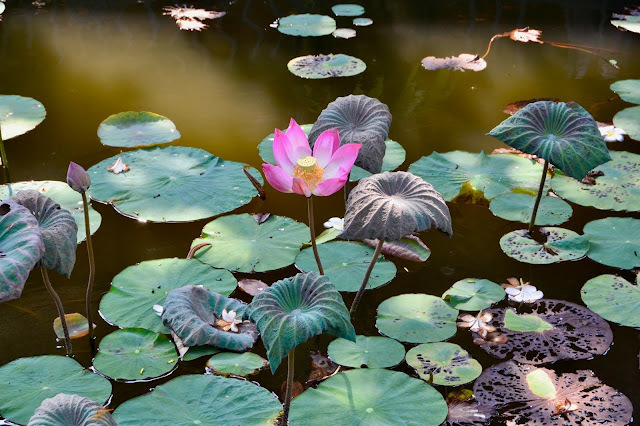 I have been to Ubud on my first trip to Bali in 2013 and really, really liked it. On that trip we mostly explored around Ubud, which is generally what you should be doing in my opinion. Five years ago Ubud was this magical, quiet little town with a very very peaceful vibe, artisanal shops and Indonesian restaurants. This time around it felt extremely different and in my personal opinion this change was not towards the positive. 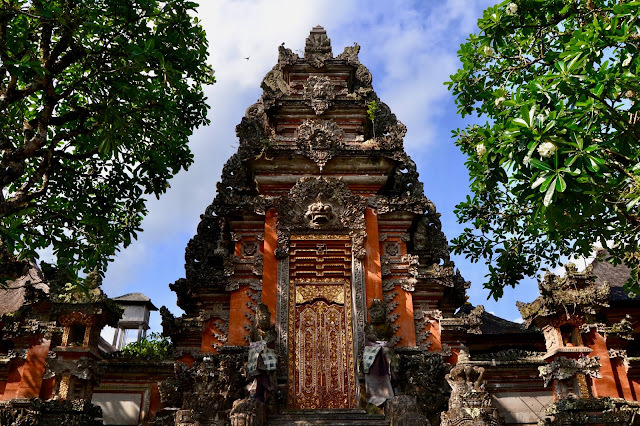 For me the mass influx in tourism to Bali was most visible here in Ubud and I am still a little bummed with how much it felt like Disneyland version of what it used to be. I think this just serves as yet another reminder how intense our impact as a tourist on local culture is. If we do tourism in a sustainable, respectful way we will be lucky enough to experience the true essence of other countries and cultures, but if all we ask for is quick entertainment and Western food the people and culture will adapt. The rice fields are obviously still gorgeous and I know there is so much to do and see around Ubud so I would focus on that and make sure to stay a little outside of the actual city. In saying that I stayed a little outside of the hustle and bustle of Ubud in the beautiful Ubud Rice Field House. 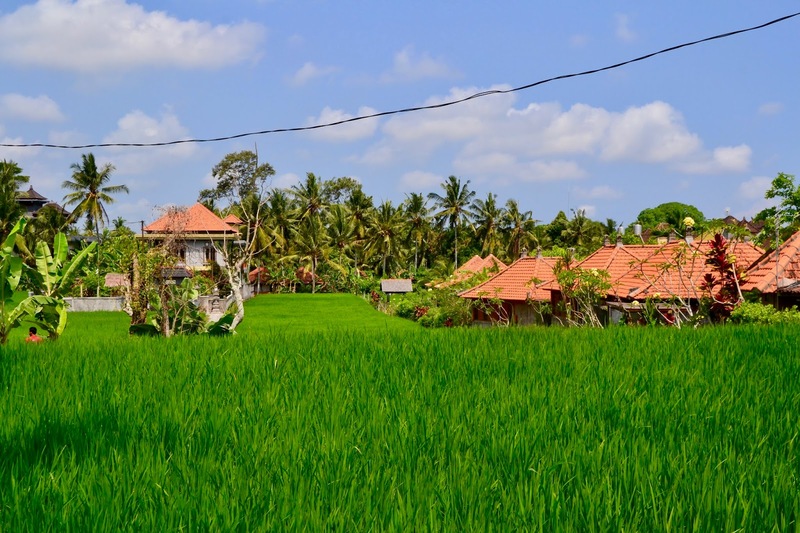 It is located right in the middle of the rice fields, opposite of a Yoga school and has an amazing little café with great food. It was mostly here, where I felt the relaxation and peace I experienced during my first trip to Ubud. Since I left they also opened up their new pool, which makes this place even more exciting. They organise trips at amazing prices (especially their rate for the boat to the Gili islands was pretty much unbeatable), have a laundry service and their staff is incredibly lovely. 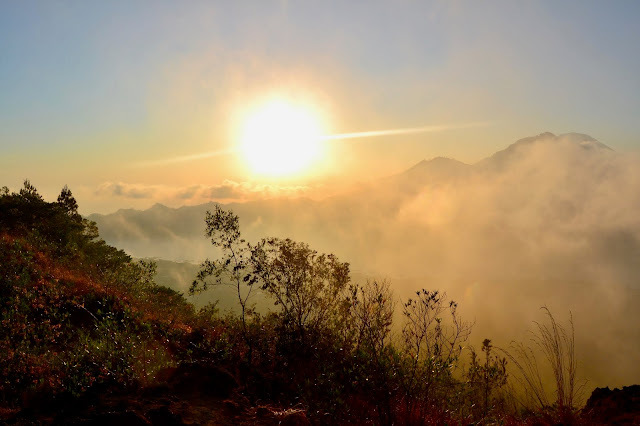 Hiking this famous volcano at sunrise is high up on the list of To Dos for so many people coming to Bali and since I had not done it the first time around this was my one must do. I booked through my hostel, but I generally think the tours are all very, very similar so you should only make sure too not get ripped off in pricing. My tour was around 300.000 Rupia or 20 Euros, which is insane for a full day tour. Prepare to get very, very little sleep as the pick up time for the tour is 2 am so you can be sure to make it in time for sunrise. I would bring enough water and a big jumper as it is really cold at this time of the day and especially on the top of the mountain. The driver will make a stop at a coffee plantation, where you get breakfast of Balinese coffee and pancakes before heading to the base of the mountain. You will start the hike in complete darkness with only flashlights, so you get to see the beautiful starry sky, but I am not going to lie: The hike itself is really challenging. I would say I am relatively fit and even though I am not an experienced hiker I usually did okay on all the other hikes we did throughout Bali and Australia. 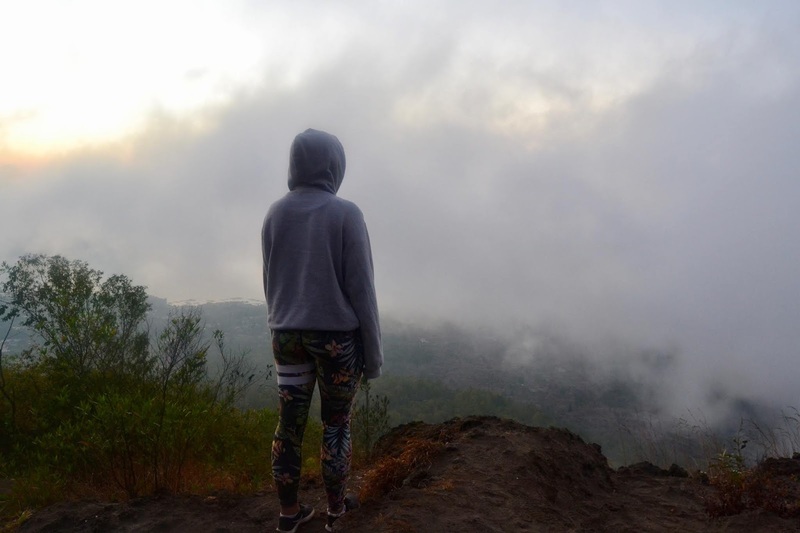 But Mount Batur is very very steep, the ground is quite loose and you hike in darkness so I would not recommend it to someone, who can´t do any cardio at all. It is also packed. Even when approaching the mountain you can see a steady stream of lights going up so do not expect a serene lonely hike, it is a very popular tourist destination afterall. The hike takes about an hour to an hour and a half. On the top you stop to watch the sunrise and have your second breakfast or elevensies. You may now be really, really lucky and get to experience and amazing view, or you may have a cloudy start to your day like I did. Obviously this is a bit disappointing, but generally quite common so be prepared for that. The breakfast is eggs and toast, which if you are lucky will be prepared on the hot steam of the mountain. You will have little tour around seeing the hot streams of air and the crater and if you want to and can make your way to the very summit. This part of the way is mainly sand so it is not the funnest hike and I would only do it if you have a clear view to begin with. You may however get to see some wild monkeys. Please be careful around them if you should decide to take pictures or feed them, I would not want to risk getting rabies. You should be back from your adventure at around 3 o´clock. The feeling of climbing a mountain before 5 am is amazing and just the chance of that amazing view makes it worth it. Just be prepared that there will be loads of other people, that the guide is mainly there to accompany you not to tell you about the mountain and that you are very dependent on the other people in your group and how well they cope, so you may have to wait quite a while for other people. I would always recommend to get a spa treatment in Ubud. There are so many amazing spas here and they have really, really great deals. I would just recommend walking around town and checking the offers. Usually you get a massage, a scrub and a flower bath, which just feels great especially the day after a massive hike. Also get a Yoga class in! Many have recommended the Yoga barn, but it is apparently a very large studio, whereas the Yoga house just opposite of my hostel had lovely teachers and very small group classes. If you feel like a pool day Folk Ubud has a lovely pool for very reasonable prices (50 000 IDR or 4 Euros if you lie on the lawn). I also really liked the Saraswati Temple, which is surrounded by beautiful Lotus flowers and the Ubud market. Obviously you will have to negotiate prices, I recommend you start at least at half of the offered price, but they have absolutely everything from bags, sarongs to key chains and decorations so a browse here is always fun. If you want to get active the Ridge walk is really lovely and a great place to feel a little Zen. Watercress was an amazing brunch spot with really, really good coffee and delicious smoothie bowls. For dinner I can wholeheartedly recommend El Mexicano, which had the best Mexican food I have been eating in a long while. They also have a great 2 for 1 Margarita happy hour. Right next to the Monkey Forrest is Habitat, which was recommended to me and absolutely surpassed all expectations. They do Asian fusion food, which was just to die for and apparently also have a great brunch menu!